Chinese food is my favourite cuisine and to keep a balance between ordering out and eating at home I keep trying out recipes at home. 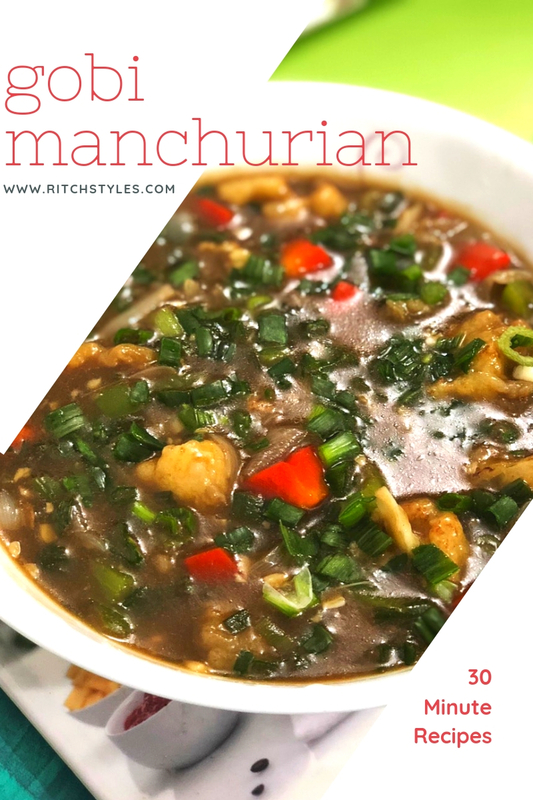 A few weekends ago, I developed this sudden craving for eating veg manchurian but had limited resources at home, so the next best alternative was Gobi Manchurian, and though it was my first time that I was making it myself, it turned out great! I ran a poll on my Instagram stories where the majority was a YES for the recipe, so here it is! The recipe took hardly 30 minutes to put together and totally satiated my cravings! These 5 together are what make or break my decision regarding a school I should enrol my daughter in, but your list may increase or decrease depending on your personal preferences.